Celebrations! is a family education program for children with special needs, their parents & siblings. This innovative program creates opportunities for families to experience Shabbat and holidays together and for children with disabilities to have Jewish educational experiences designed for their learning needs. The Celebrations! program is designed for students who have cognitive, learning or developmental disorders, including but not limited to autism spectrum disorders, cerebral palsy and Down Syndrome. If you know someone who might be interested in the Celebrations! class for their family, please share this article with them or give them a new Celebrations! brochure (placed around Mishkan). To register for Celebrations!, contact Gabby Kaplan-Mayer. Celebrations! has been in the news! Click to read about our program in The Philadelphia Inquirer, e-Jewish Philanthropy and the Jewish Exponent. Click here to watch a short video about the Celebrations! program. Click here to see a photo gallery of past years Celebrations! 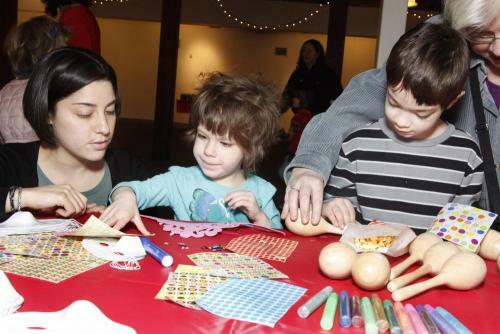 Sensory-Friendly Purim Event. Mitzvah Menshes is a social and social action program for young adults (ages approx. 18 – 30) with special needs. Mitzvah Menshes meets monthly on Saturday evenings and features dinner, Havdalah and a mitzvah project. Contact Gabby Kaplan-Mayer (info above) to register.